MLB players should consider cheating. I’ll admit the title is a bit of a misnomer. It should probably be “Some MLB players should consider cheating as it pertains to banned substances some of the time.” Also, before going any further with this, I’d like to point out that this article was inspired by one of my great friends (who will hopefully allow me to share his proposal on how to best resolve this issue at some point in the near future). For the sake of the article (and dialog in general), let’s put conventional sentiments surrounding ethics as they pertain to athletics on the shelf for a moment*. * In other words, let’s not just claim players shouldn’t use banned substances simply because it’s “wrong.” Before you all completely hate on me for writing this article, know that my personal beliefs on performance enhancers are not being reflected, but rather, my observations on how players may perceive the current environment are. I am not really qualified to explain the long term effects of steroids to one’s physical health, so some of my points may be leaps of … ahem, faith. Okay, disclaimers in order … check. As far as I can tell, the basic motivation for cheating comes down to one primary goal in baseball (and probably sports in general) – that is to obtain a competitive advantage whether it be via skill or durability. For some players, this means transitioning from “subpar or expendable” status to, say, a useful role player. For other players, it may mean going from very talented to exceptional. In any event, I believe certain players in Major League Baseball have much more to gain by cheating then they have to lose compared to others. Now, I’m not talking about your Alex Rodriguez or your Barry Bonds. Personality traits aside, it’d be completely asinine to claim that either of those players weren’t incredible in their day. Both represent generational talents, who in their prime (and perhaps even past it), would represent an upgrade for any team looking to contend. The problem with cheating for these guys is a matter of perceived legacy. They were always likely to get paid assuming they could stay on the field. If they get caught cheating, the only real jeopardy they’d face is exclusion from the Hall of Fame (assuming the HOF doesn’t change its criteria which I think it will in time). Sure, they may face a suspension as the rules currently stand, but my guess is they’d still typically acquire the big contract more often than not as they’re naturally more gifted than their peers, and being gifted is an expensive commodity. To put this into clear context, I’m not talking about a guy like Mike Trout or Bryce Harper, or any of the other exceptional players in the league. No, the type of guys I’m referring too are of the Melky Cabrera ilk. Let’s rewind back to 2010. Having been traded to the Braves (in the infamous Javier Vasquez swap) from the Yankees, he was awful. We’re talking a .255/.317/.354 slash line (.292 wOBA) with four home runs bad. For those wondering, that translates out a 77 wRC+ and a -1.1 fWAR. Basically, if all was just in the world, he would have had to pay the Braves for letting him “contribute” to their cause (and he’d probably have to offer a sincere heart-filled apology to [insert generic replacement level player here] for keeping him in the minors). Instead, he was non-tendered as the Braves wanted no part of his $3.1M salary. But the point stands; at this juncture, Melky barely qualified for any Major League roster spot … anywhere. But something happened, and no, it wasn’t the invigorating atmosphere of Kauffman Stadium or the refreshingly cool San Francisco air that caused it (presumably). 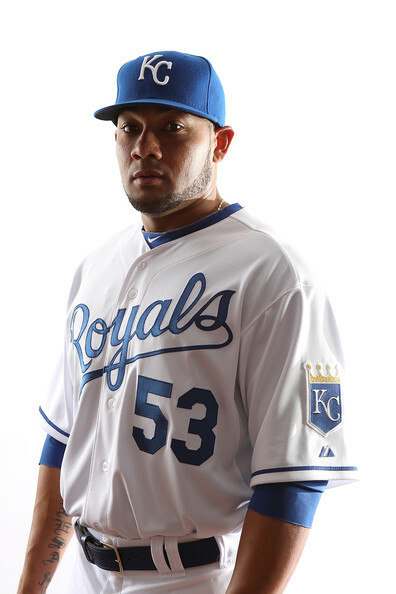 Over the next two seasons with the Royals and Giants, Melky was legitimately good. This past season he was so good, in fact, he even contended for the batting title in the NL (.346/.390/.516, .387 wOBA, 149 wRC+, with 11 home runs). There were rumblings as far back as May, that by the end of the year, he was going to cash in a serious contract too, whether it be with the Giants or another team – some even mused a paycheck as lofty as four or five years, $50-60M (roughly $10-15M per year) which was probably quite realistic. For a guy who was about to potentially face a minor league contract, and who was barely a footnote in Major League Baseball as recently as 2010, that’d be one hell of a pay day. Obviously, things went a bit differently though. Melky was caught using a banned substance. He didn’t win the batting title (because he withdrew his name from consideration), and he was suspended from baseball for 50 games. Now you’d think that teams might have been worried this offseason that some major performance regression could happen for Cabrera and that his performance as player wasn’t entirely legitimate the past couple seasons. You might reasonably expect that Melky could be an interesting “buy low” type of candidate for a lot of teams looking to strike gold on a player with some question marks along with some potential. Instead, the Toronto Blue Jays set the market with a two-year deal worth $16M – that is to say eight million dollars per season despite the question marks surrounding him! Not too shabby, really. And if he puts up solid numbers for the Blue Jays for the next couple seasons, he’ll be right back in line for another solid pay day the next time he hits free agency. That’s far more certainty than he had a few seasons ago when he was viewed as nothing beyond a fourth outfielder/depth guy. Of course, ironically, Melky still has the footnote to his name. He’s just substantially wealthier for it. The National League wrecked the American League on Tuesday night, winning the 2012 All-Star Game by the score of 8-0. Starter Justin Verlander gets most of the blame after allowing five runs before his teammates even got to hit in the first inning. Former Yankee Melky Cabrera took home the MVP Award thanks to his 2-for-3 showing. He hit a two-run homer off Matt Harrison. It was the NL’s third straight All-Star Game win. As for the Yankees, captain Derek Jeter went 1-for-2 with an infield single off Matt Cain. Robinson Cano went 1-for-2 with a ground ball single up the middle (off Stephen Strasburg) and Curtis Granderson went 0-for-2 with a fly out and a ground out. All three started the game at their regular positions and played five innings in the field. CC Sabathia was selected to the game but did not pitch due to his groin strain. Cano left his good friend Melky hanging on the above high-five attempt following his homer, so that was pretty funny. More importantly, the National League has clinched home field advantage in the World Series. That’s pretty unfortunate. The Yankees are legitimate contenders and should they make it to the Fall Classic, it would have been nice to both open the series as well as play a potential Game Seven at home in the Bronx. Oh well, they’ll just have to do it the hard way.